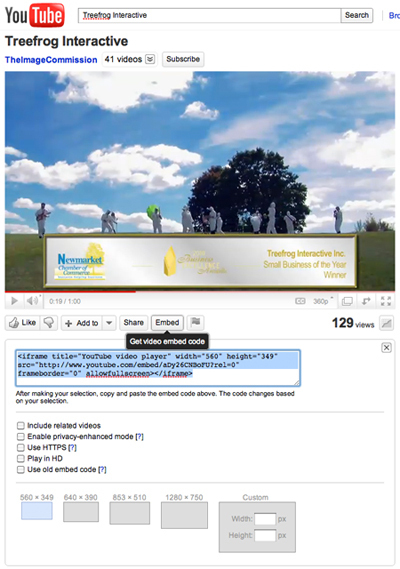 You can embed YouTube videos directly on your website easily with a few easy steps. 2) Once at your selected video click the Embed button illustrated in the image below and copy the code provided to you. 3) Head on to your website and find the page you wish to add the video to. 4) LEAP on the specific page & add the HTML Module to that page and paste the code from YouTube into the HTML module on that page.